For any investor who has chosen lean hogs as the commodity to invest in 2014, s/he is as “happy as a pig in the index“. 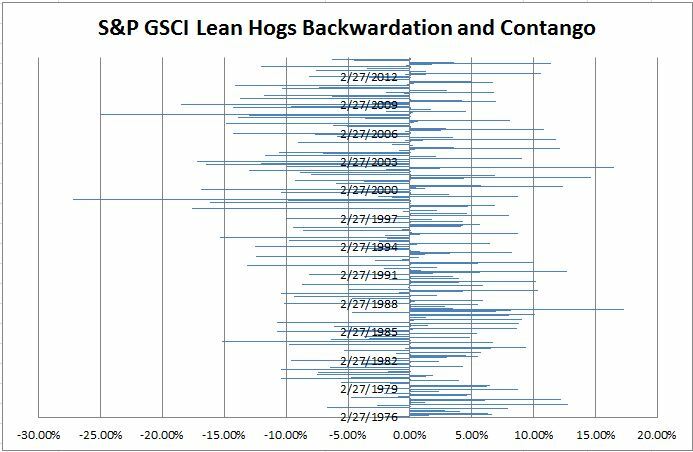 The S&P GSCI Lean Hogs are the 3rd best performing commodity in the index YTD, up 16.3%, before the roll. Even after the roll, the lean hogs are the 5th best performing commodity in the S&P GSCI and the best performing commodity in its sector, livestock. 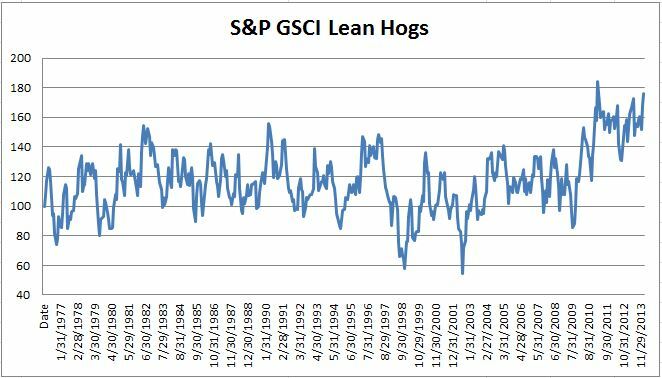 Now the S&P GSCI Lean Hogs is just 4.5% short of reaching its all-time index level high which occurred in March 2011. Source: S&P Dow Jones Indices and/or its affiliates. Data from Jan 1973 to Feb 2014. Past performance is not an indication of future results. This chart reflects hypothetical historical performance. Please see the Performance Disclosure at the end of this document for more information regarding the inherent limitations associated with backtested performance. Rising expectations that cash hog supplies will tighten soon and an increase in wholesale-pork prices have supported the lean hogs in the index. Packers were willing to pay higher prices to insure their immediate slaughter needs (known as convenience yield) were covered as they attempt to catch up production in the wake of weather-induced closures and delays (known as expectational variance or supply shocks). Summer hog contracts remain strong on the expectation Porcine Epidemic Diarrhea virus (PEDv), which is fatal to baby pigs, will cut the U.S. hog herd. Average monthly returns between Jan-Feb of 2014 of 7.9% are the highest of any first two months since 1999. Further, the average monthly summer backwardation in 2013 of 4.2% was the highest since 2001 and has been increasing since 2010, when it was just 1.9%. Also in history, only in 14 of 39 years have we seen backwardation in February and we haven’t seen three years in a row with a backwardated February, like we see now, since 1978-80. 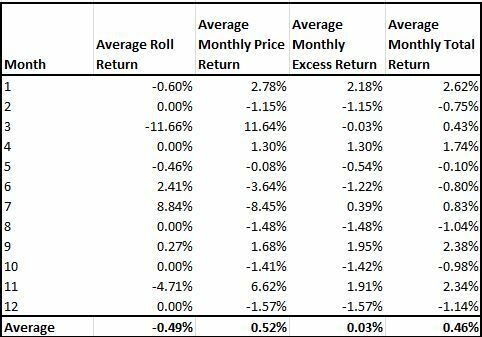 In the summer months of June-Sept, during the years of backwardation in February, the average monthly total return of lean hogs was 117 basis points higher than in all the years taken together. If this pattern continues with tight supplies of lean hogs, there could be a hot roll this summer. Though one might be cautious given the history of abundance in March. See in the charts below the data showing historical average returns, backwardation and contango.